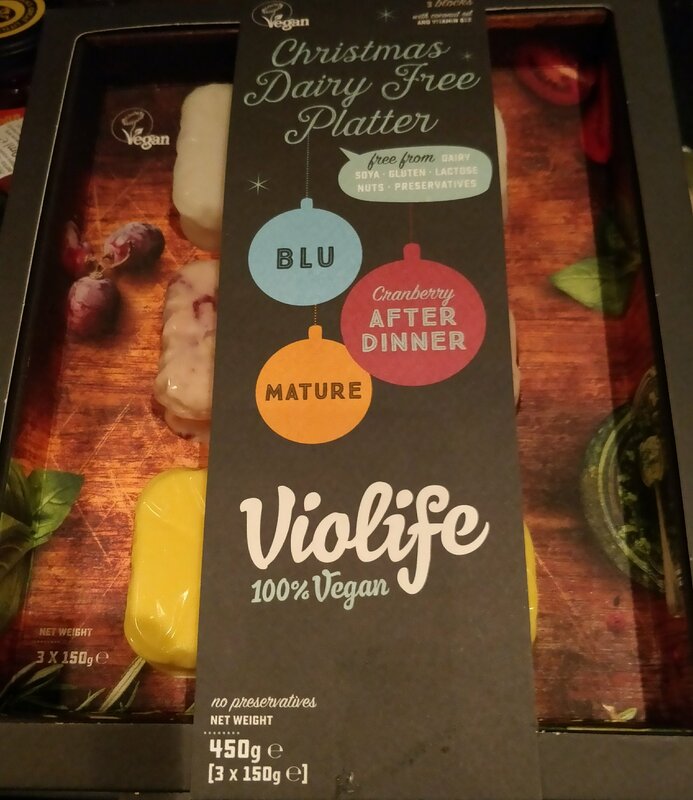 My Husband has been mostly dairy free for a while now so he was excited to see Violife bring out a cheese board for the festive season, so much so he bought two, one for us to taste test and another to take to my Brother’s on Christmas day. The cheese board contains three different cheeses each 150g and cost £5.50. We have a blue, cranberry and mature cheddar varieties. We tried these with Ritz crackers. The packaging does seem quite big for the size of the cheese and when you have two packs it takes up a considerable space in the fridge. I am not a great lover of blue cheese but I think this a fair approximation and tastes similar to the Bute Island Sheese version. I was really disappointed with the other two cheeses. The mature is anything but and apart from the cranberries the other cheese lacks flavour as well. I have heard some people describe the texture as plasticky but that didn’t really bother me. We’re going to try the mature later in the week melted on chicken style burgers but you would expect the best was to enjoy a cheese board is simply on crackers. I would not recommend this but would be interested to see what other people thought. Let me know in the comments below. 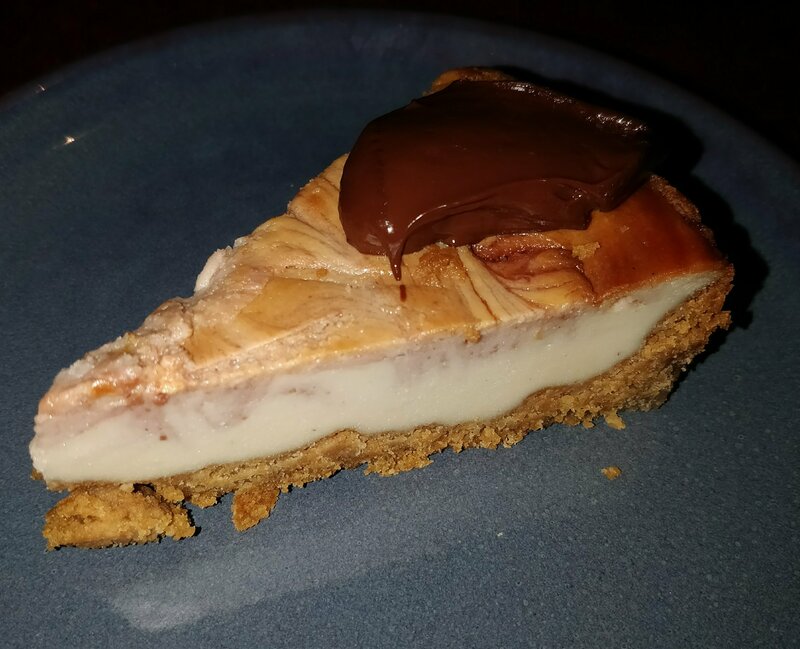 I was due to have a catch up with my friend Louise who happens to work as a vet in a practice on a retail park that contains a Pizza Hut and as they have just announced that following a successful pilot in a handful of branches they are rolling out vegan cheese nationwide I thought it was a great opportunity to try it out. It has been many, many years since I have been to a pizza hut restaurant. I have had delivery minus the cheese but that has been a while now as I have an independent takeaway pizza place near me that I can trot down to with my own vegan cheese that they’ll put on for me. I really liked the look of the restaurant, its sort of like an American diner and even the toilets were kitted out with bulbs all round the mirror. I went for the veggie pizza which comes with mushroom, sweetcorn, peppers and onions and I added olives. The cheese they are using is Violife which is coconut based. You also get unlimited salad bar with the pizza which was a nice starter and reminded me of Harvester. My friend ordered the veggie with dairy cheese so I had a direct comparison. The vegan version definitely looked less cheesy and for some reason the cheese seemed to be on top of the toppings rather than underneath. 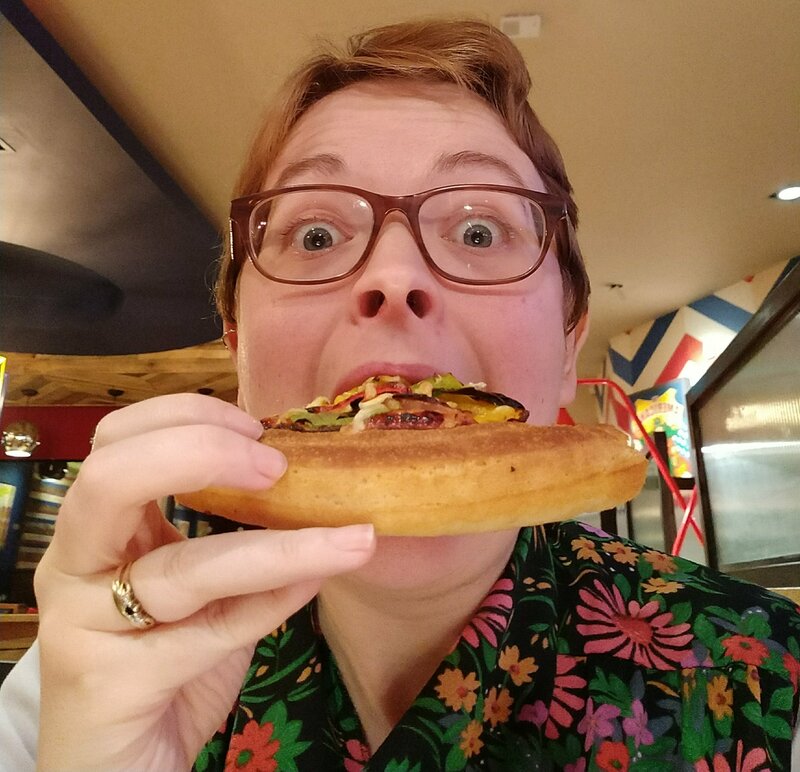 The pizza was really tasty and I love the deep pan base which is sometimes what you need rather than the thin Italian style you get in Pizza Express or Zizzi’s. Next time I will definitely be asking for more cheese though! I also enquired about dairy free milk for hot drinks. The waitress said they haven’t changed their machines so currently can’t do dairy free but she thought they would be looking to offer it in the future. As my friend has a taste card we got our pizzas on a BOGOF deal so I’ll definitely be heading back as you can’t complain for £5.50 each! Some people have mentioned they don’t agree with the £1 premium for vegan cheese but I think if they get enough requests for it this might change. I also hope they decided to roll this out to their takeaway branches as well. 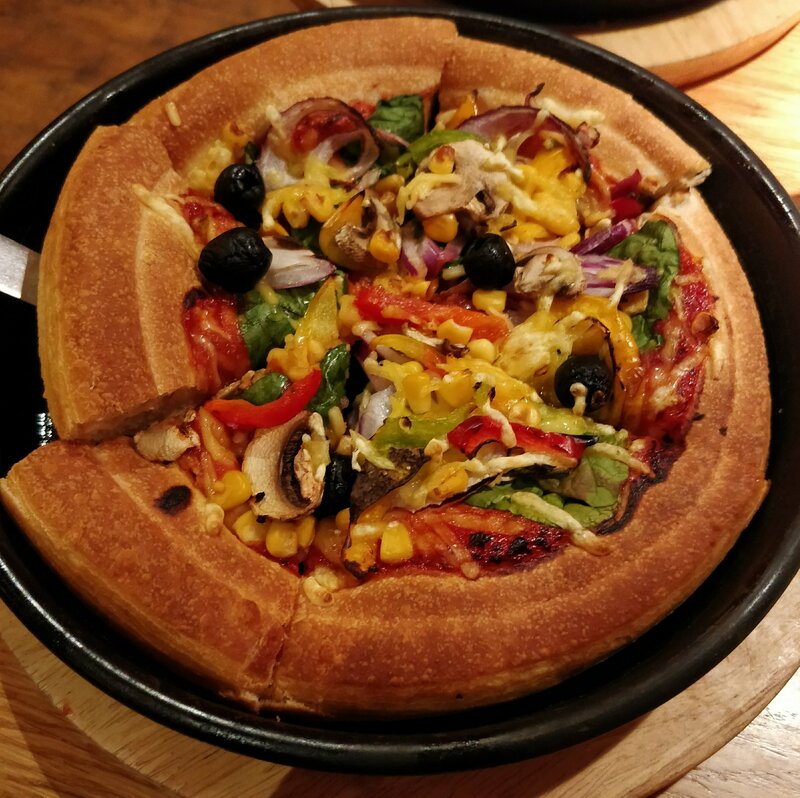 Have you tried the new vegan pizzas at Pizza Hut? What did you think? Let me know in the comments below. I’d seen Joey’s Kitchen at a couple of events I’d been to but I’d never taken the opportunity to try them out until now. 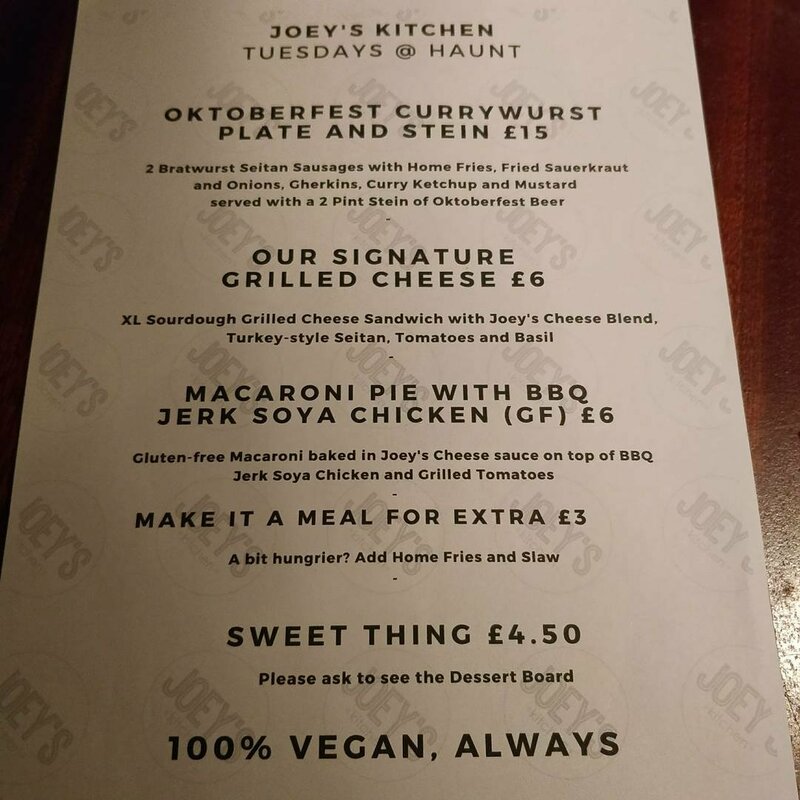 Haunt is a funky little vegan bar and restaurant in Stoke Newington, they have their own fully vegan food menu but every Tuesday they let Joey’s Kitchen takeover. I’d looked at the menu earlier in the day and decided on the cheese toastie as I had predicted my Sister-in-law would go for the macaroni cheese. I also liked the look for the Oktoberfest special but as neither of us are big beer drinkers we didn’t think we’d get through the stein of beer! You pay at the bar when ordering and then the food is delivered to your table. Gemma went for this oat hot chocolate to begin with and it was really tasty. 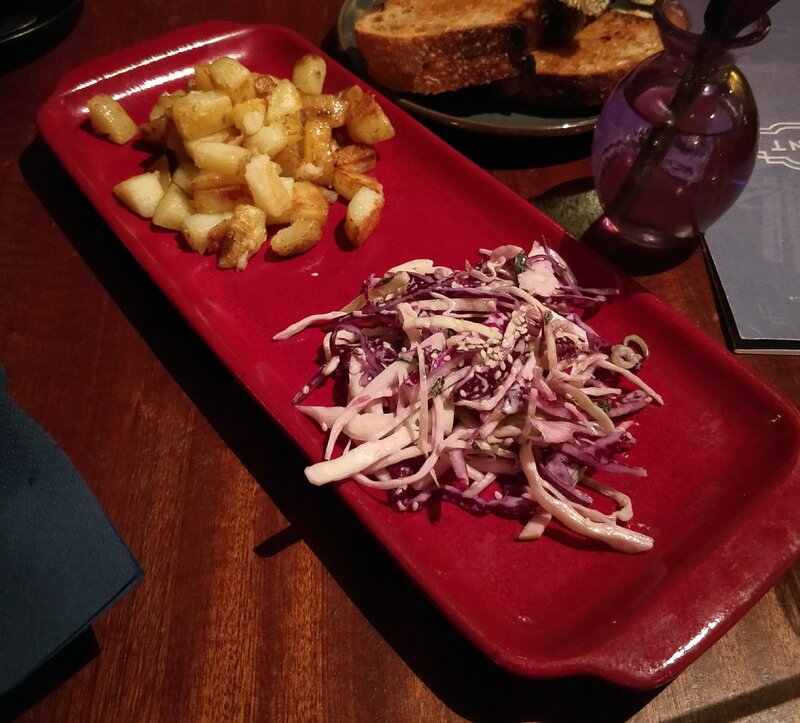 We had the sandwich and mac and cheese to share with a side of home fries and slaw each. The sandwich was really gooey with the cheese and I added some of the slaw to my half to get the full experience. The mac and cheese came with chicken style pieces in a spicy barbecue sauce with cut through the thickness of the cheese sauce. We weren’t finished there though! We shared a cherry ripple baked cheesecake for dessert. There wasn’t much of a cherry flavour as I think the rich dollop of chocolate on top was the strongest flavour. The base was really crumbly and the cheesy bit had a nice texture. We couldn’t leave without letting the hubs get in on the action so we got him a toastie to takeaway! 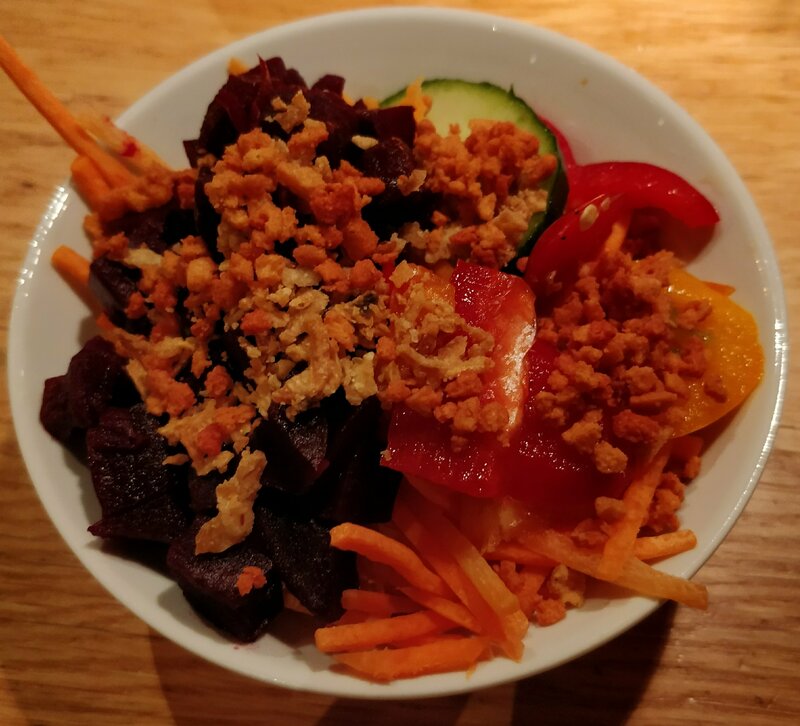 I really enjoyed our meal and thought it was reasonably priced, I’ll definitely be back on a Tuesday for Joey’s Kitchen and we’ll have to try out a different day to taste their regular menu. 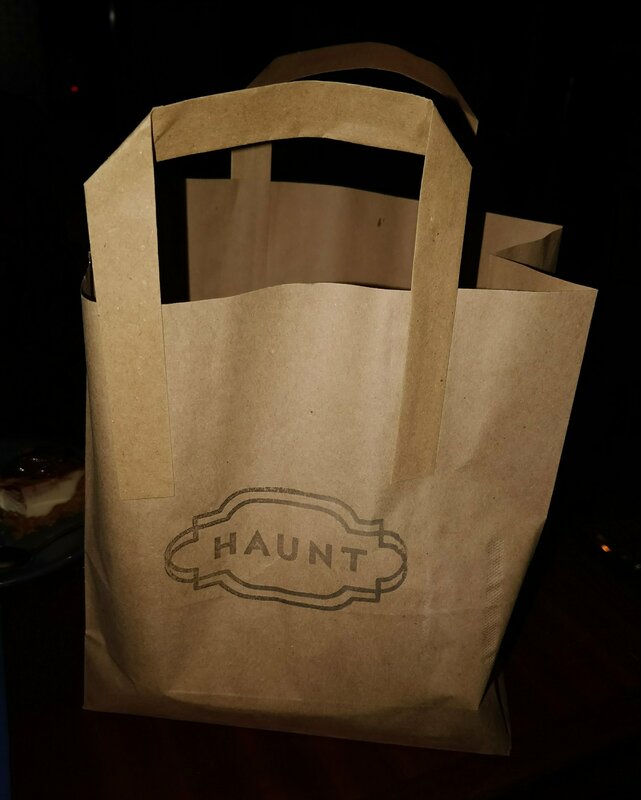 Have you been to Haunt or tried Joey’s Kitchen before? What did you think? Let me know in the comments below. This week my friend Jo and I went out for our monthly dinner to 90° Melt in Stepney which has been on my “to do” list for a while. They describe themselves on their website as a vegan and vegetarian restaurant serving American comfort food. 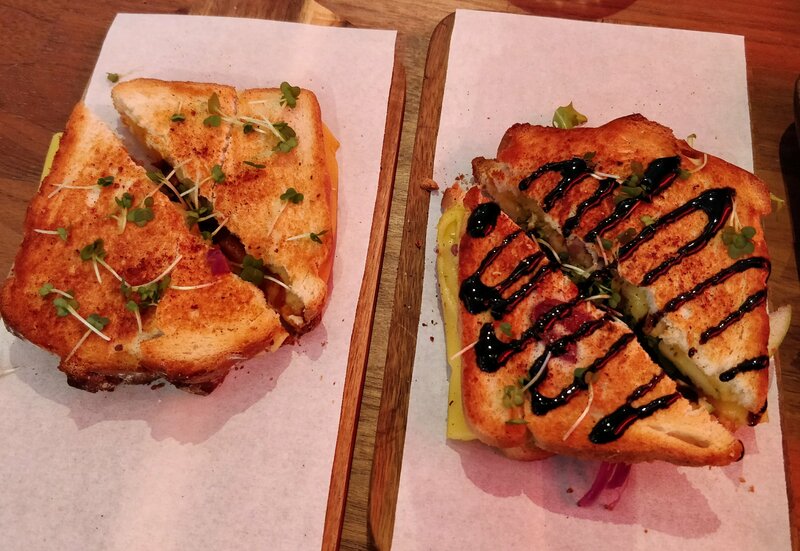 At 90° MELT, we have combined TAPAS style dining with AMAZING Grilled Cheese sandwiches, (or as we call them – MELTs) so our customers don’t have to choose! But it does not end with Grilled Cheese, that is just a start! We chose the Waldorf and the Mexican for our sandwiches, as these are tapas they are slightly smaller than regular ones but just as tasty. We also chose the buffalo cauliflower wings and potato wedges. The cauliflower was really good but the sauce on top was a bit spicy for me. The wedges were from massive baking potatoes and both these dishes were bigger than I was expecting. We went for the lentil salad to add a bit of greenery. When we first arrived I asked that we had the “vegan version” of everything. When this arrived it came covered in feta so it went back to the kitchen to have the feta replaced with extra lentils. At this point I was well and truly stuffed but Jo soldiered on and ordered a vegan brownie with (non-vegan) mascapone. I tried a bit from the mascapone free end and it was rich and gorgeous tasting packed with walnuts. I went for a ginger masala chai made with soya milk which had a great kick and wasn’t too sweet. All in all I was really impressed with 90° Melt and thought it was great value for money. I’ll definitely be returning! Have you been to 90° Melt? What did you think? Or if not what would be in your ultimate vegan cheese toastie? Let me know in the comments below.